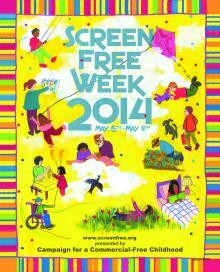 May 4-10, 2015 is Screen Free Week I’m being called for jury duty, so who knows where that lands…meanwhile, here’s a links list below reprising resources to enjoy time out and about unplugged! With about 30 million views in just a couple of weeks, Gary Turk’s powerful “Look Up” video has gone viral, like a shoulder shake to the masses striking a powerful chord of irony and poignancy. Using social media as a distribution channel to look within ourselves and ponder whether our online lives have eclipsed certain elements of what it means to be human is a critical thinking challenge about the tools we’re using in our daily connections. Turk’s plea to stop looking down at thumb twitching devices and “Look up!” to embrace the beauty of life around us is a call to action to get grounded in our relationships, recognizing habits and rituals that permeate and often complicate our everyday routines. You can choose to view it as a dystopian diatribe but to me it’s simply advocating for face time, and an opportunity to command full (not partial) attention. No more. No less. I view it as an observational touchpoint about digital distractions that’s resonating with people, just as we saw here earlier in this Upworthy cell phone video “After I saw this, I put my phone down and didn’t pick it up for the rest of the day” viral media that made the rounds to the tune of 42 million YouTube viewers. I knew Look Up would be decidedly skewered via social media snarkfest (countless parodies to follow I’m sure) just as cynically and predictably as the jousts and jabs directed at CCFC’s Screen Free Week. As a huge fan of digital media and a periodic participant in ‘unplugging’ regularly, I maintain that both Look Up (full text here) AND Screen Free Week are more productively viewed as simple exercises in critical thinking and introspection. Critics say time and again. And the answer is…we are. I use the collective “we” as a stalwart supporter of personal media management to raise awareness of the daily relationships we have with our own digital tools and devices that we’ve come to take for granted…It’s about noticing how you interface with people and with things, it’s about habits and new forms of communication, it’s about perceptions and realities and getting to know yourself and those around you better. 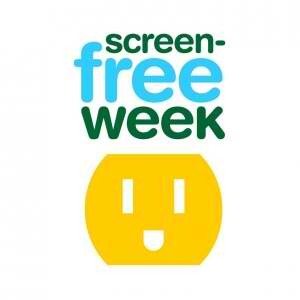 But that’s not what Screen Free Week is about, nor why families who have read the media research strive to reduce dependence by experimenting with their own family’s digital intake to observe with a fresh lens. Every year I feel I should hit “replay” on my own recitation that the event is NOT intended as a wrist-slapping, guilt-mongering, media snatching mandate from Luddites but instead is a very flexible ‘decide what it means to you and your family’ approach to experiment, explore, and engage in critical thinking. That’s not a watered down dodge, it’s a reasonable reminder, because in my view, it’s absolutely NOT for pediatricians, psychologists and a gazillion experts to get to ‘decide’ what defines YOUR media management, nor what constitutes a “screen free week”…YOU are the only one who can do that. When choices are made without knee-jerk alarmist reactions tossing out solid media positives for fear of the negatives in ‘sky is falling’ over-reactions to digital deluge, then it can be media literacy at its finest. That said, 2014 has evoked some interesting responses and media patterns that merit a deeper dive. What’s happening here at a higher level of consciousness in our culture? It’s almost like I want to whisper ‘shhhhh’ to the Screen Free Week folks to “let people figure this out on their own” away from the dogma and silliness of ‘screentime’ polarity toward a very raw, real longing for human connection. Because it feels like we’re getting closer to ‘aha’ moments here. Trend-tracking, it seems like there’s a larger state of overwhelm and pushback to social media time sinks that are giving people the hebejeebies that they too may have reached an ‘altered state’ of digital consumption causing many digerati and fully connected folks to purposefully dial down their dependence and self-assess with ‘screen free Sabbaths,’ ‘no phone zones,’ and carving out family time to embrace media management on their own terms. The media lens itself is starting to show up with this theme regularly…I don’t think it’s just about marketing fears. We’re in for a ‘market correction’ to address some very human themes about emptiness and loneliness online and off. Why is the viral video Look Up such a raging success, so fast for instance? Why did the 2014 Sundance film festival fixate on storytelling about screen time and internet ‘addiction’ like these three top contenders: Web Junkie, Love Child and The Life of Aaron Swartz?Anne Collier of NetFamilyNews.org probes thisfurther in “Internet Addiction: New ‘disorder’ about age old needs?” and wrote a thoughtful piece about Web Junkie and the notion of clinical disorders. How are books like Andrew Keen’s Digital Vertigo, danah boyd’s “It’s Complicated,” Randi Zuckerberg’s Dot Complicated: Untangling Our Wired Lives, and Sherry Turkle’s Alone Together (and TED talk “Connected, but Alone” gleaning a strong 53% share in the TED community) helping people to process the ‘light web/dark web’ juxtapositions to begin thinking about their own habits and homefronts? Could it be that as a society we’re finally ready to start integrating social media with balance rather than the flavor d’jour ‘next big thing’ or ‘gotta be there or you don’t exist’ business and branding persona? Could it be that people are starting to overtly value face time more than Facebook time…embracing high tech AND high touch collaboration with one another? 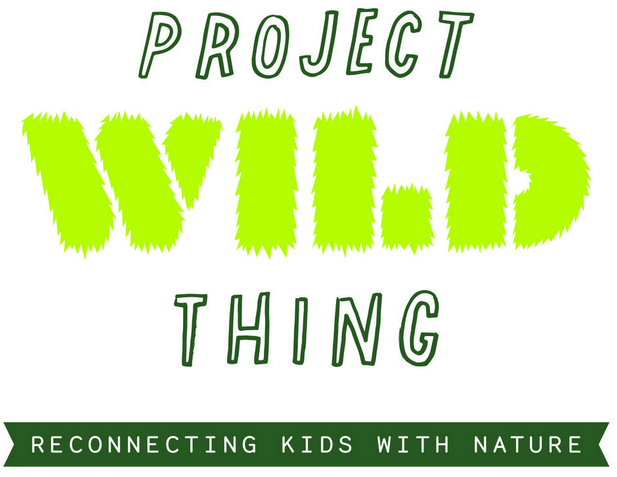 Ventures like Children & Nature Network, Nature Rocks, Discover the Forest, the Slow Family movement and the new Project Wild Thing videos reconnecting kids with nature are nudging families toward a similar lens probing questions about the deficits in how we walk through the natural world as kids immerse in virtual click and tap experiences over tangible engagement, altering play and relationships at a systemic level. What’s missing offline with connectivity that’s being embraced and applauded online and vice-versa? Some curate their personal brands on the virtual stage like a gardener building a topiary…others go to great lengths using cryptic codes to carve out some personal space away from the observation of family and friends. How do YOU use screens for peer validation? …resonated a bit of an ‘ouch’ for me. I’m just back from a one month hiatus from Facebook, and a couple weeks not even firing up the computer OR texting, yet friends and family chided me relentlessly with a distorted perception of who I really am which gave me pause. Really? Watch me. Boom. Done. Truth? I loved it. Being ‘unavailable’ was a freeing luxury I hadn’t given myself in a long time, and it was divine with a capital D. But it begged the question…Have I been TOO much of a ‘passionista’ in terms of my work over play? Is that my ‘reputation’ within my family? Time to reassess perceptions vs realities. Obviously, statistics about the impact of sedentary lifestyles have called out (and vilified) screens in an effort to champion change and shift from sit time to fit time, especially focusing on early childhood bodies and developmental milestones as a strong reason to be “screen-stavers” with young children. On the flip side, it’s important to see the balance of educators and digital learning pros offering new, important and wonderfully nuanced conversations about getting “Beyond Screen Time” to view kids as “makers” using screens for creative self-expression and lifelong learning fun…and note that many of these educators are the SAME ones leading the way to bring back recess and open structured play. Thankfully the lens of absolutes is waning…to embrace a more holistic mindset. This is ALL healthy, critical thinking. Not either/or. And/also. Point is, I’m optimistic the surge in ‘screen free’ mindfulness to ‘try it you’ll like it’ now and again is a long overdue settling in of balance and awareness we all need to achieve in our mental and physical health. Living in the Silicon Valley where people “live, eat and breathe” technology and startup culture it’s fun to note that the very people who are perceived as the ones who would never disconnect do…And they do so often. It’s always been a telltale sign hearing about ‘digerati’ mega-moguls who send their kids to “tech free” schools…Why would they do that? What could it mean? Does it ‘not compute’ with their everyday zeal for all things digital? I’ll leave that to your own critical thinking skills.